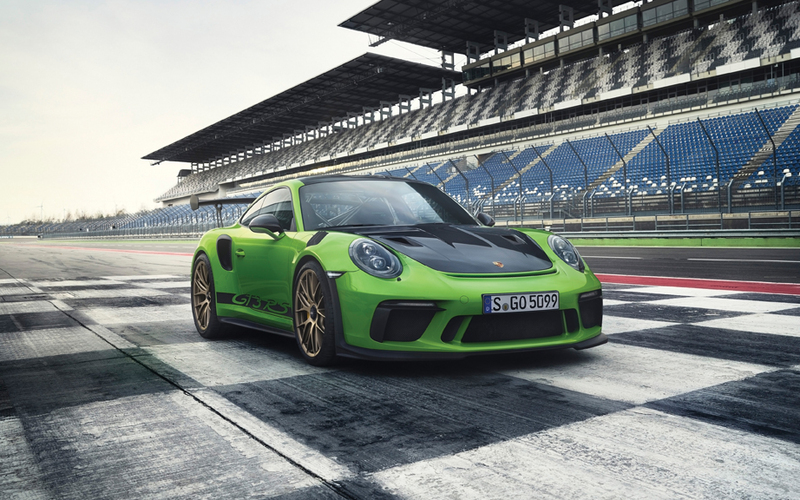 The Porsche motorsport department is presented Weissach’s latest treat at the Geneva Motor Show: the 911 GT3 RS with motorsport chassis and 383-kW (520-hp), four-liter, high-speed naturally aspirated engine. 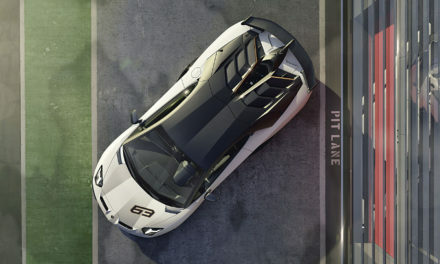 The new high-performance sports car is based on the 911 GT3, which has been refined still further to combine the performance-enhanced engine with a running-gear setup that features re-calibrated rear axle steering designed for maximum dynamics and precision. The 911 GT3 RS accelerates from 0 to 100 km/h in 3.2 seconds, reaching a top speed of 312 km/h. Following the launch of the 911 GT3 and the 911 GT2 RS, this latest release will see Porsche present its third GT road-approved sports car within a year. Aerodynamics have determined the design of the wide, weight-optimized body with its classic rigid rear wing. The racing look continues into the interior with full bucket seats made of carbon to provide secure lateral support in response to high-level driving dynamics. Lightweight door panels with storage nets and opening loops, reduced sound absorption and the new lightweight rear lid further emphasize the consistency of the material choices. 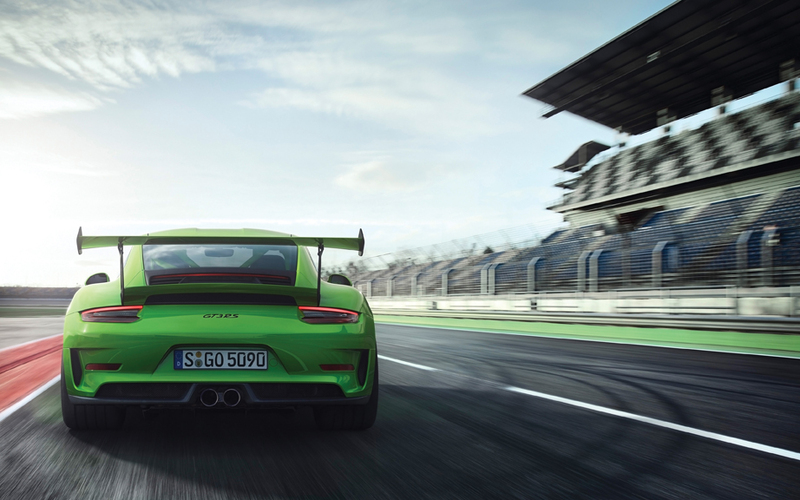 The four-liter, six-cylinder naturally aspirated engine from Porsche in the new 911 GT3 RS pushes the sports car to new limits: The flat engine delivers 15 kW (20 hp) more than the engine in the previous model and the 911 GT3. Together with a speed range reaching up to 9,000 rpm, it was the ideal choice as a thoroughbred sports engine. Combined with the specially calibrated seven-speed PDK, the high-performance engine guarantees an outstanding driving performance. Technology straight from motorsport ensures that the chassis offers exceptional driving dynamics. Ball joints on all arms provide even greater precision than conventional elastokinematic bearings. 20-inch lightweight wheels with newly developed 265/35 sports tires on the front axle enhance agility and steering behaviour, while 21 inch wheels with 325/30 tires at the rear axle improve traction. For particularly ambitious drivers, the Porsche motorsport department has created an optional Weissach package for a further weight reduction. The package features additional carbon components for the chassis, interior and exterior, as well as optional magnesium wheels. In its lightest configuration, this package reduces the weight of the 911 GT3 RS down to 1,430 kilograms. The new 911 GT3 RS is available to order now. It will be launched in Germany from mid-April 2018. 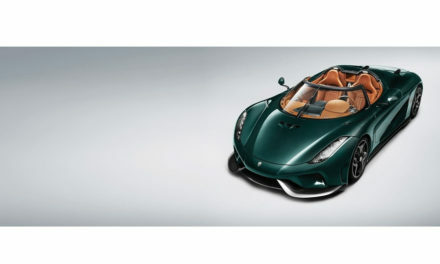 Prices for the new high-performance sports car start at 195,137 euro, including VAT and country-specific equipment. NextYou Know What Happens When You Assume!